I made a background for my phone which read "Portal 2: The Fake Community-Made" when that was actually alive. The text still stayed there for a year and a half. 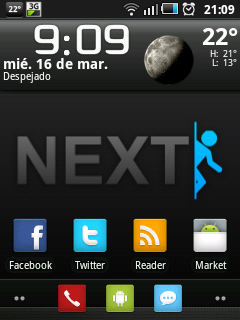 My Android with a wallpaper of my mod "Portal: Next".